At 19,341ft Kilimanjaro is Africa's highest mountain. Yet with no mountaineering skills necessary to reach the summit, even non-climbers can experience the thrill of climbing one of the world's greatest peaks. 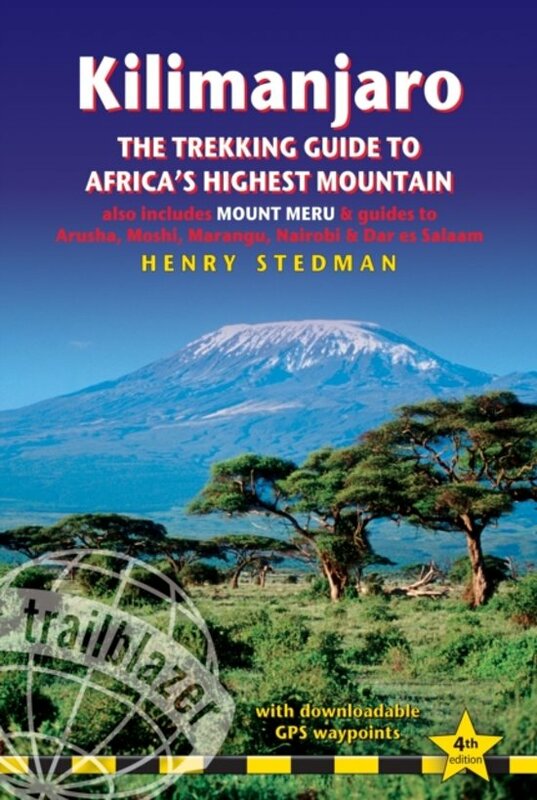 Includes full practical details - getting to Tanzania and Kenya, town guides and maps to Nairobi, Dar es Salaam, Arusha, Moshi and Marangu. Routes covered on 35 detailed walking maps in the proven Trailblazer style; all walking times are indicated along with points of interest and gradients. This top selling guide from Trailblazer is now in its fourth edition. Compacte volledige gids. Heel fijn ter voorbereiding voor de wandeling naar de top. Enige nadeel wat mij betreft: de kleine tekst (door de combinatie van compact formaat en veel info). Veel informatie in vrij kleine vorm. Nuttig en handzaam dus.